A growing shortage of physicians available to meet the demands of medical care now and in the near future means there is a need for medical students and physicians in training. When attending a Caribbean Medical School, you should first consider the type of school that you want and whether you will be comfortable learning in such as school. Therefore, you need to research appropriately to ensure that the medical school is qualified and has all the equipment and resources to make you a successful student. Below are some reasons why you should attend a Caribbean medical school. When it comes to delivery of medical education, there is a need for dedication since it is a complicated endeavor with a lot of involvement and various departments. There are a lot of components to a quality medical education such as class lectures, small group activities, team-based discussions and learning in a clinical environment (meaning that you are interacting with patients directly). Such experience is vital for the student in order to understand what is required when dealing with different patients and medical situations. Caribbean medical schools are proactive about such requirements, and have expanded traditional curriculum to ensure students can benefit from all these activities. Many aspiring medical students have natural leadership skills and have a great interest in the process of learning and teaching. Therefore, such students need to have the right environment that will enable them to hone their skills to perform essential duties in hospitals. Caribbean medical schools like Trinity School of Medicine provide excellent teaching and learning opportunities for both lecturers and students to ensure their future physicians get what is needed to succeed in their medical career. The dean and faculty are continuously making improvements and changes to the various sectors to raise the bar for a better medical education. When it comes to medical schools, a collaborative and supportive environment is essential to cultivate a culture of success. Students attending a Caribbean medical school have the opportunity for cultural contribution and new learning experiences, which leads to self-improvement and personal growth. 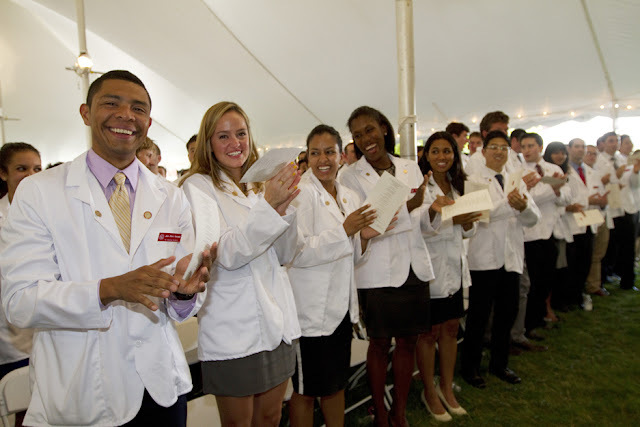 As a student and future physician, you will be able to express who you are as a medical professional and the value of your unique experience. If you want to make history as a medical student and become a part of a growing successful physician population, you should consider attending a Caribbean medical school. As a student in the Caribbean, you will discover a lot of things that you may not otherwise at a US medical school. It may be a challenge to select the right medical school, but knowing what type of medical education you need, and what type of physician you want to become, is the first step to selecting the right medical school. Attending a Caribbean medical school is a great choice if you want to learn in a more hands-on environment and excel in the field of medicine.